A TRISMS exclusive, this is an educator’s dream resource for historical fiction and biographical books. This chronological list is sub-sorted by reading level, total page number and includes ISBN numbers. A brief summary of each book is also included. This newly updated 2013 edition contains over 1,700 entries. Linda Thornhill, author Available in hard copy or e-book download. 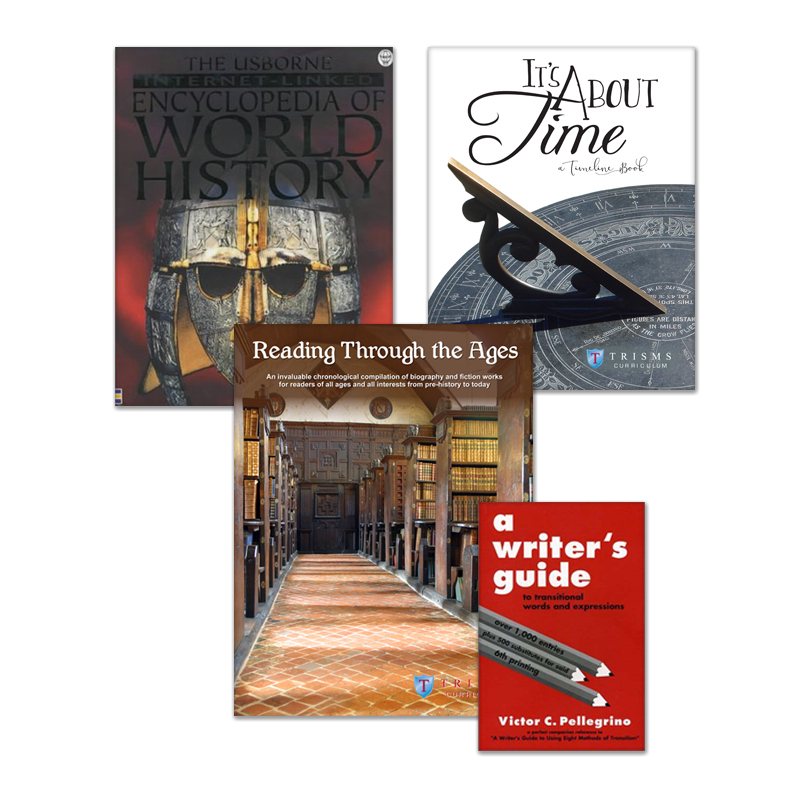 An educator’s dream resource for historical fiction and biographical books. This chronological list is sub-sorted by reading level, total page number and includes ISBN numbers. A brief summary of each book is also included. This newly updated 2013 edition contains over 1,700 entries. A reading resource that anyone can use – from picture books to adult novels. The books listed are based on time of the story, rather than the time that the author lived and wrote. . Excellent for use with TRISMS or any curriculum to which you wish to add the reading of great historical fiction or biography. A resource for writing your own units. A great way to challenge your reluctant reader. Utilitze the page number notation to slowly increase the number of pages your child reads with each consecutive book. Your scholar will be introduced to many authors and styles of writing, increasing their appreciation for the old and the new.